In, and around, the city of Baltimore is the University of Maryland Medical System. The University of Maryland Medical Center is one of 12 hospitals that comprise the system. The medical center was established in 1823, making it one of the country’s first teaching hospitals. The University of Maryland was also the country’s first public medical school. The health care system employs 8,261 people with 1,163 who are physicians and faculty. There are 929 resident doctors. The health system’s emergency rooms have seen 73,285 patients. 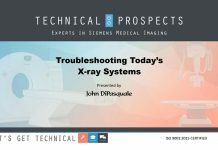 With all of those patients and doctors, it stands to reason that the system’s imaging equipment is in high demand and it is. 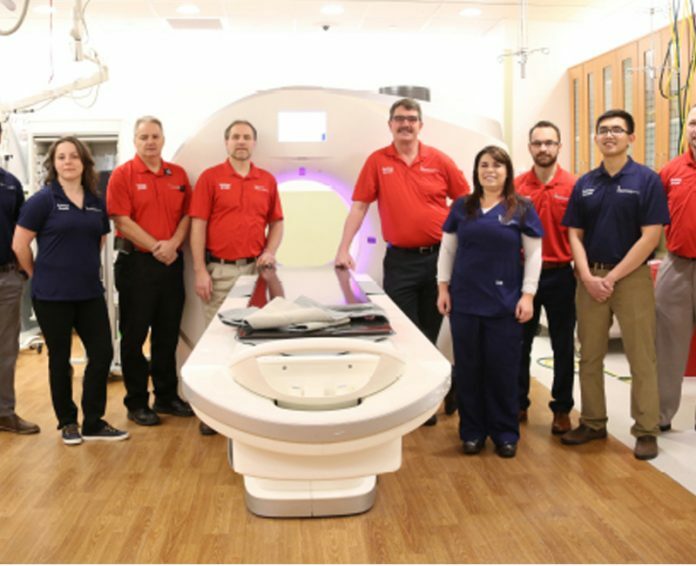 The University of Maryland Medical System Corporate Imaging Services Department is a free-standing corporate operation in its first year of service. The group is headed by Imaging Services Manager, Sean Connolly. The eight-person department also includes Imaging Service Engineer II, Geri Adofina, Imaging Service Engineer Specialist, Daniel Wickenheiser, Imaging Service Engineer Specialist, Mike Poole, Imaging Service Engineer I, Chris Poole, Imaging Service Engineer I, Patrick Dizon, Imaging Service Engineer Specialist Tim Lunczynski and Database Coordinator, Sheila McRae. The service engineer specialists areas of specialization include Mike Poole; OEM training in GE CV, radiography/fluoroscopy, CT, nuclear medicine and injectors. Tim Lunczynski has OEM training in Siemens, IR, CT, MR, GE CV and third-party general radiography/fluoroscopy. Dan Wickenheiser has OEM training in Philips CV and radiography/fluoroscopy as well as GE radiographic/fluoroscopy. Geri Adofina has OEM training and specializes in Philips and OEC (GE) mobile C-arms, Philips CT, and Shimadzu portables. Chris Poole has OEM training and specializes in GE MRI, digital radiography and third-party general radiography/fluoroscopy. Patrick Dizon holds the team’s first hybrid position. He is both in-house and part of the system with OEM training. He specializes in Varian linear accelerators and third-party training in general radiography/fluoroscopy. “Our department is a free-standing corporate operation, although our most recent hire is stationed at one of the system hospitals that we service, which is a collaboration between this facility and our program, to better support the in-house radiological support needs at this facility,” Connolly says. The group’s training regimen includes a cross between OEM, inter-team training and third-party training. “Our primary approach is to have our staff trained by the OEM for makes and models in our inventory. As a team we use a cross-training approach with our staff working together to learn other vendors where a specialty already exist in a modality, and new modalities where it may not,” Connolly says. “We also rely on third-party training facilities for basic radiology training as we find this the most cost-effective way to address these needs for future OEM training,” he says. Connolly says that his department currently provides services for 12 main facilities and many of their radiological services in addition to their primary facilities. The facilities range from a major 700+ bed world-class trauma/teaching facility to much smaller facilities that focus on specialty care. 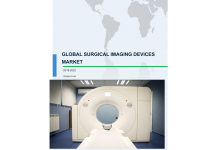 The team handles the servicing of most imaging equipment with the exception of nuclear medicine cameras (except for at one facility) and mammography systems. In terms of purchasing and planning decisions, the department’s involvement can depend on the facility. 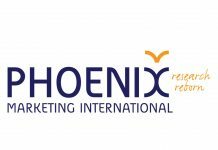 In the instances where they are involved, they bring their expertise to the table. 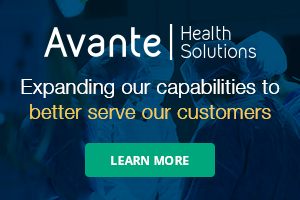 “We collaborate on the right fit not only for the facility but also for the system to include all life cycle cost associated with the purchase and support of that equipment, as well as patient safety and comfort,” Connolly says. When it comes to special projects, Connolly says he is excited about one that relies on internal resources. It is related to a Computerized Maintenance Management Database (CMMS) that will benefit his group and all of CE. “We had the good fortune of hiring an Imaging Service Engineer Specialist, Mike Poole, who was formerly a manager at one of our system facilities. Mike was the administrator for the CMMS at his facility and all of the facilities use the same CMMS, but we are not currently using it the same,” Connolly says. “As part of our new department, the intent was to create a Radiology Services Segment in our CMMS, and Mike was willing to be the administrator of this until whatever time our Database Coordinator is fully trained and comfortable addressing this need,” Connolly adds. Why is Connolly excited about this project? Connolly says that the group is using that CMMS segment as a basis for their radiology segment and are in discussion with their clinical engineering managers group and senior leadership to use this format as system common for clinical engineering departments. He says that all may benefit from this very valuable tool. When the need arises, some of the team members can switch to general biomed and pitch in when needed. Connolly says that of the six trained staff, five come from a strong general biomed background and this provides the team with the ability to provide support via a much more cost-effective approach versus contract support from a third-party vendor. For a young entity, this imaging services department is making headway and bringing a world of talent to those who depend on diagnostic imaging.